Create and deploy stores, add products, accept and process orders, manage themes and website content and more. Virto Commerce provides everything to build your online business. You can even decide where you want it to be hosted (based on location, price and any factors that are important for you). You will gain complete access to all the code and control your own business as compared to a SaaS model where you have to use functionality SaaS provides. Host free with Microsoft Azure using their free websites hosting plan. We know it takes money and a lot of effort to launch your own business, that is why we offer a community production license that allows small businesses and startups use our product complete free until your business starts generating enough revenue. We never charge developer or staging licenses. Any number of developers can use our product to learn how to launch successful ecommerce website. 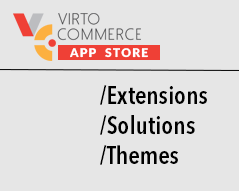 Virto Commerce is completely open source and all the previous, current and upcoming versions are available to download from Github. Use it to see what’s coming next, contribute new extensions and simply have a piece of mind that anything is possible. Virto Commerce organizes all products in so called master catalogs. Each product can belong only to one master catalog and that is what will control who can modify those products. Products from different master catalogs can then be organized into virtual catalogs and assigned to a particular store. That way you can control what products available in which stores. Assign fulfillment centers to a store to specify which products are available in which store. Import product catalogs from other systems including Magento, Shopify and start selling right away.